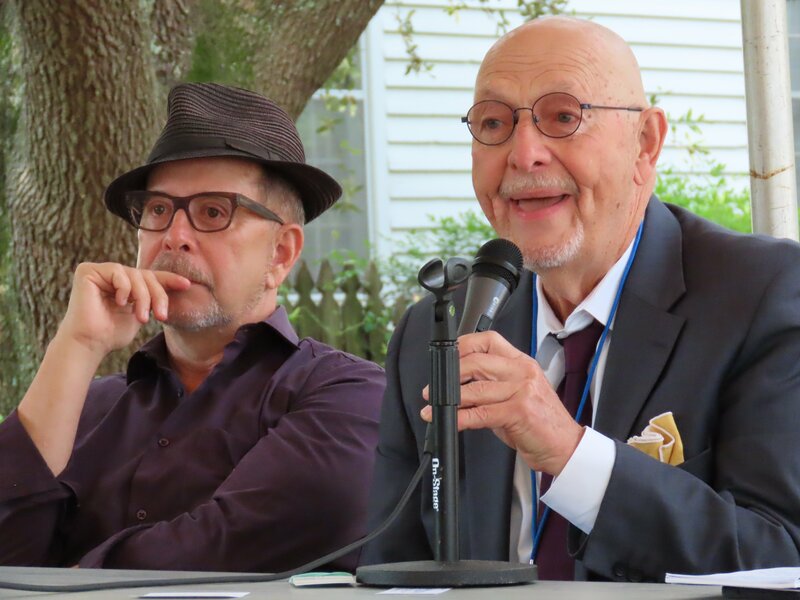 Movie based on book "Wrong Side of Murder Creek"
The Director of the movie and the author of the book were both at the Alabama Book Festival today at Old Alabama Town. Film Director Barry Brown and Author Bob Zellner at The Alabama Book Festival today. 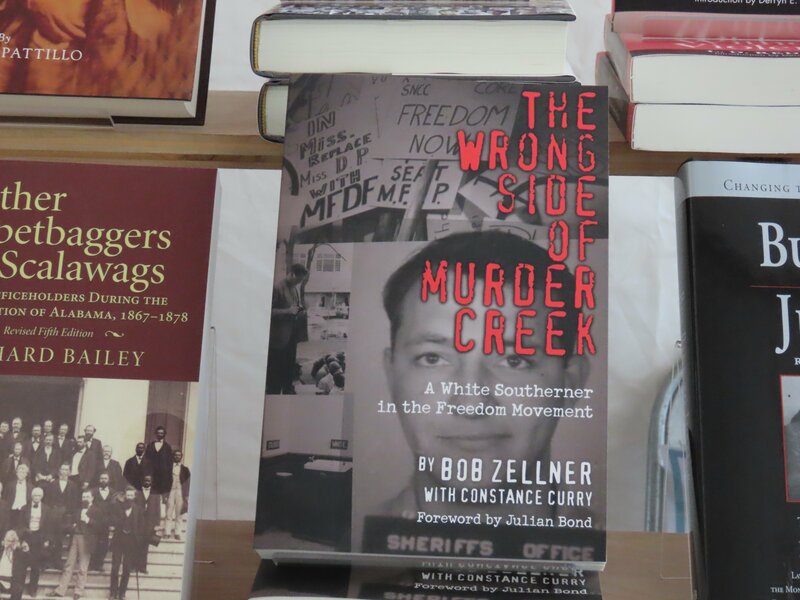 Zelner’s book “The Wrong Side of Murder Creek” is autobiographical…it tells the story of his father and grandfather, both members of the KKK, and his awakening in the early 1960’s. The Executive Director of the movie is Spike Lee, with whom Brown has produced several movies. Brown was asked if Son of The South will premier in Montgomery, and he responded Definitely!